Why Choose Our Freight Shipping Services? Both novice collectors and experienced dealers can run into unexpected challenges when shipping fine art. This is especially true for the international transportation of very valuable or fragile items that require special handling and care. However, professional freight shipping services can help you work around these challenges and, what is even more important, ensure that all your precious art and antique items arrive at their destination without a scratch. 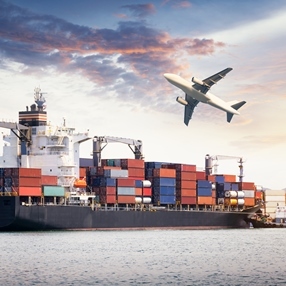 Besides, shipping and packing companies also have instant access to specialized technology, equipment, carriers, and even freight rates that you may not. For this reason, ordering reliable freight shipping services is always a wise solution that will work for any situation. When it comes to the best freight shippers in NYC, specializing in the transportation of art and antiques, you won’t find a better option than Fine Art Shippers. Possessing 20+ years of experience and a highly trained team of art handlers, we can easily move art objects of any type, including large collections of paintings, stainless steel and bronze sculptures, antique furniture and pianos, religious artifacts, and a whole range of other museum-quality items. Besides, our freight shipping services are not only about the safe and secure transportation of precious cargo. At Fine Art Shippers, we also serve as freight forwarders, dealing with all the aspects of art logistics, documentation, customs clearance, and insurance policies. Plus, we provide all packing and crating services in-house, with the help of our experienced team of art packers and crate makers. art storage solutions in major U.S. cities. In addition to all of the above, our freight shipping services are very competitively priced, so you do not need to worry about your budget when working with Fine Art Shippers. In other words, we offer a unique opportunity to transport your precious possessions to anywhere in the world without breaking the bank. Please feel free to contact our team for any further information about our company or services!